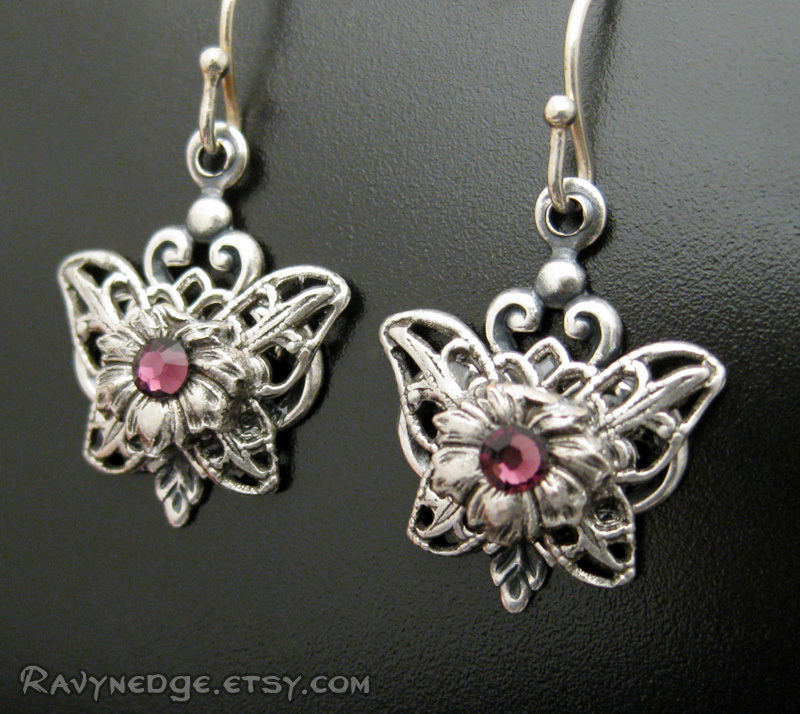 Escapade Earrings - Amethyst Crystal Silver Butterfly Dangle Earrings by RavynEdge. 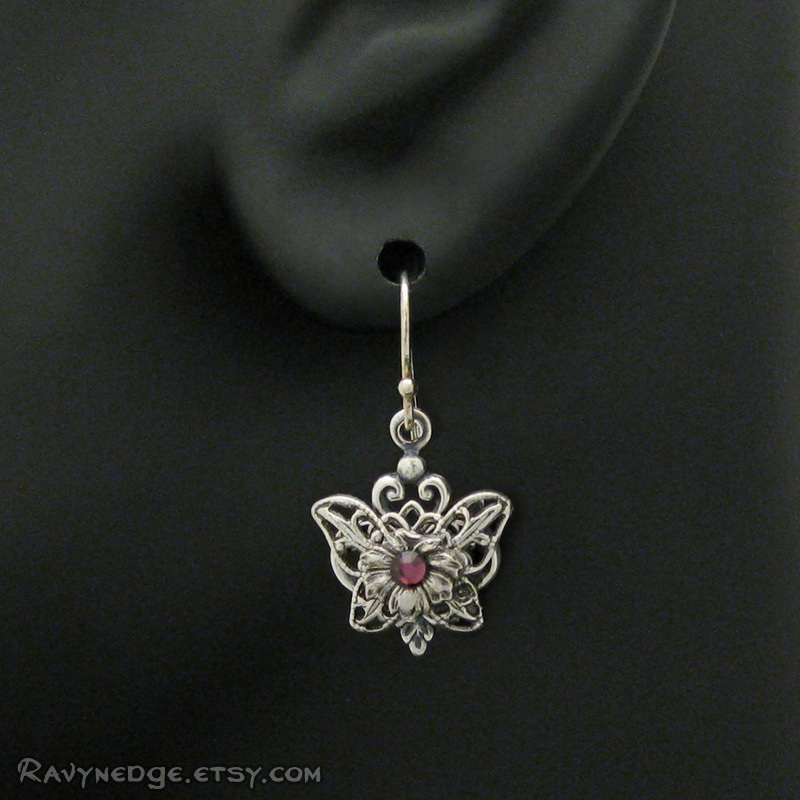 Lacy little butterfly wings peek out from behind a flower holding an amethyst purple Swarovski crystal. 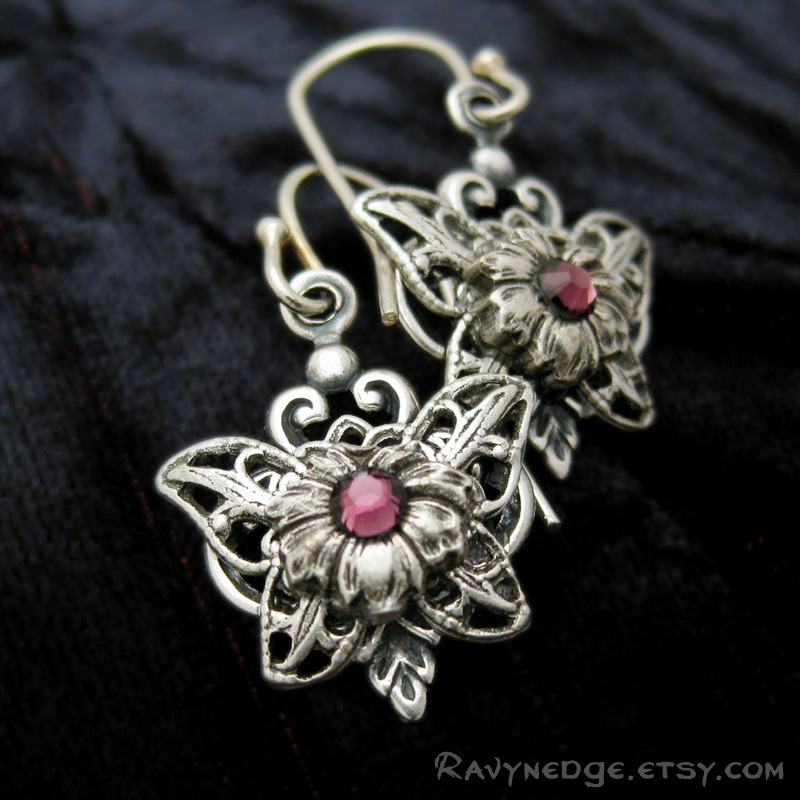 All the metal, including the earwire, is sterling silver plated brass. 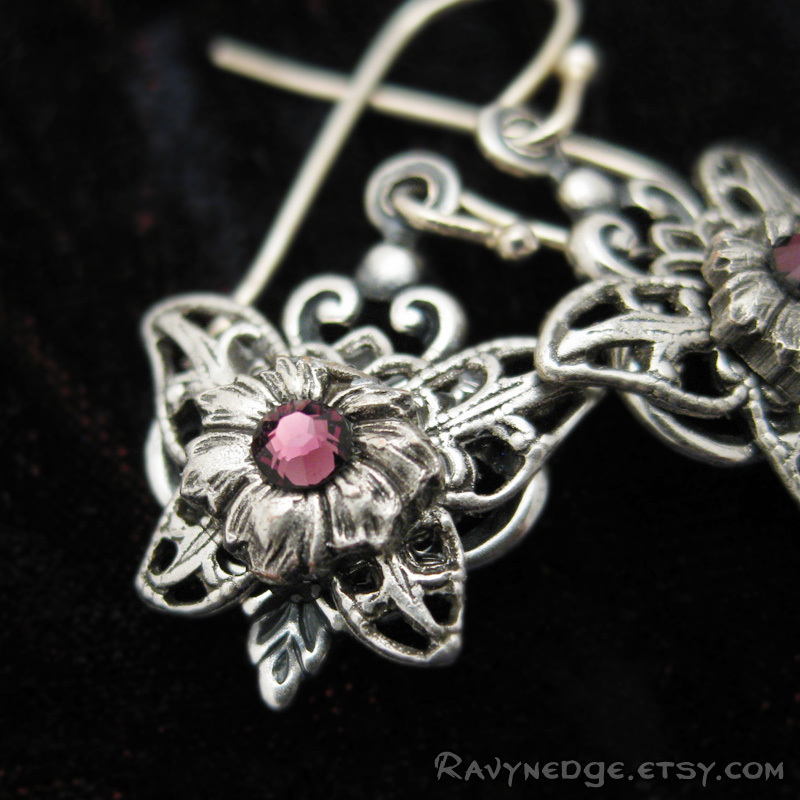 Can be made with a different color crystal. 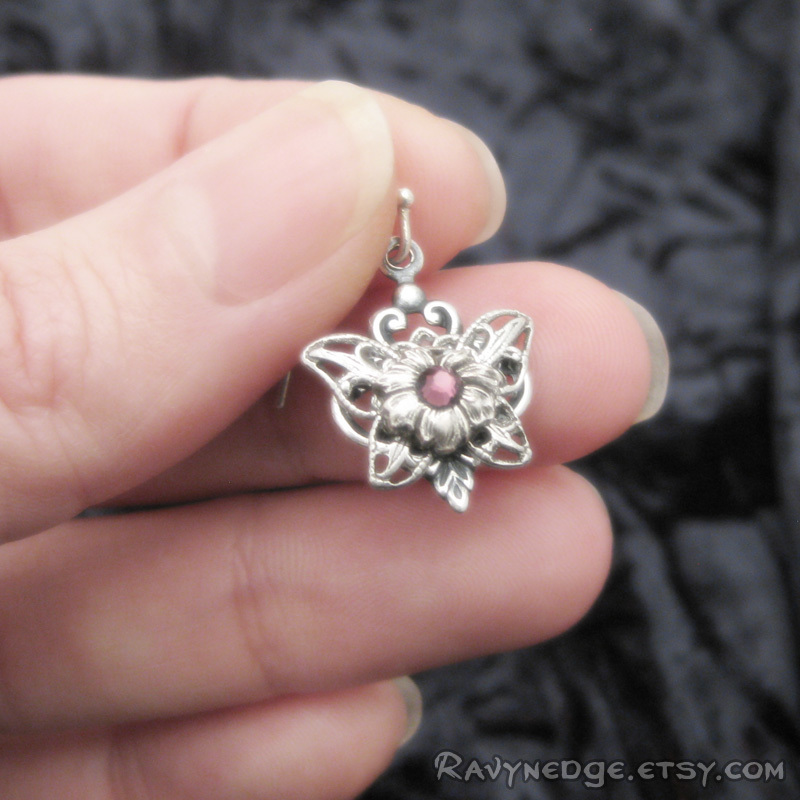 The earrings measure 1.14 inches (29mm) from the top of the earwire.